I’m Andrea and I blog over at A Modern Hippie. I chat about real food, natural living, and everything in between—usually with a cup of coffee! I’m a military wife with no kids and I stay super busy with volunteering, cooking/baking, running, gardening, and crafting. We are living in Southern Alabama right now while my hubby attends flight school. 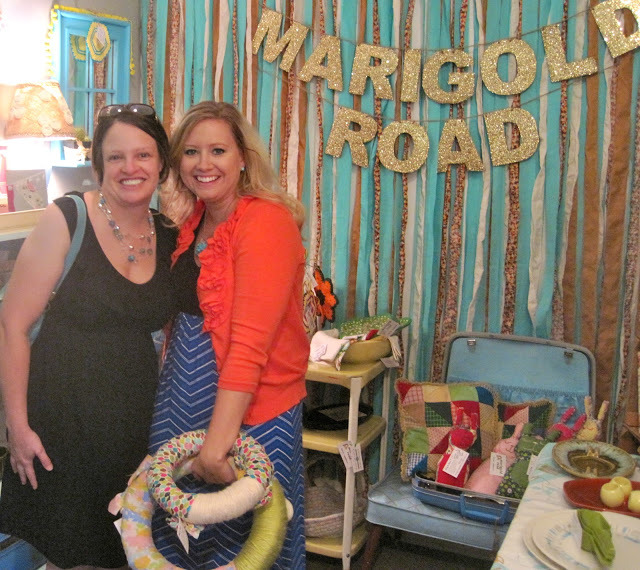 I’m so excited Mindy asked me to do a guest post on her blog. She is a wonderful sister in law and has a huge heart for her family and friends. I’m blessed to have her as a sister. Thanks Mindy! 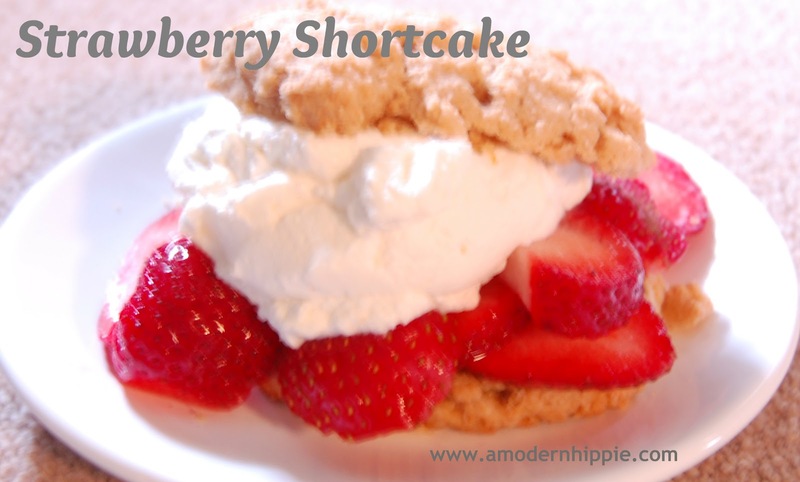 Today I’m sharing my amazing Strawberry Shortcake recipe. I made this while I was back home in Kansas a few months ago and everyone loved it! What do you think of when you think about strawberry shortcake? Those round cakes wrapped in plastic they sell in the produce section of the grocery store? Well that is not REAL shortcake and you will never go back to the highly processed cakes once you try this recipe! This recipe is quick and easy to make, so no excuses for not having time to make it at home instead of buying it at the store. I have to be real with ya’ll today. I made the wrong recipe yesterday so all the semi-great pictures I took I can’t use! I had a shortcake recipe bookmarked in my recipe folder so I figured this is the one I always make. I had the thought that this didn’t really seem like the recipe I have made in the past, but I blamed my crazy day and moved forward with baking. I pulled them out of the over, tried a bite and knew it wasn’t right! Now you know the reason for the lack of pictures in my post. I hate recipe posts with no pictures! In a medium bowl whisk together flour, baking powder, and sugar. Cut the cold butter into small pieces. Add to dry ingredients. Using a pastry blender or fork work butter into the dry ingredients until it resembles coarse crumbs. Add orange zest, milk and vanilla to flour mixture and stir until just combined. Wash and slice 4 cups fresh strawberries. You can add 2-4 TBSP sugar to the strawberries if you prefer. I do not like to ruin strawberries with sugar so I just wash and slice them! If you prefer to add sugar to the strawberries, do this prior to making the shortcake and put in the fridge to macerate. To serve, split a warm biscuit in two, spoon ¼ of the berry mixture over the bottom half, top with whipped cream and the other half of the biscuit. Sit down with a warm cup of coffee and enjoy! Check out my blog for more great homemade recipes. Thank you, Andrea, for sharing this recipe. I adore you and am honored God blessed me with a THIRD sister. I miss you.